Nostalgia. I love that word. It just sounds so cool and I love all that is associated with it, words, feelings, thoughts, and memories. These Jello Popsicles are definitely nostalgic. I remember my mom making these every summer of my childhood. 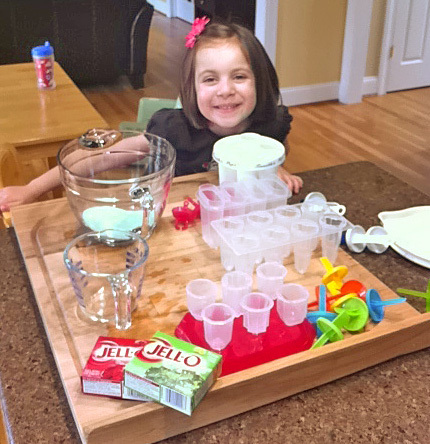 She made them in her Tupperware popsicle molds. They look like these, but they were a cloudy greyish color. Anyone remember those? Now I get to make these for my kids. I don't have the Tupperware molds. I think my mom threw them out because my three brothers and I chewed up the part that sticks into the popsicles. Apparently she raised a bunch of animals. Well, my brothers at least. 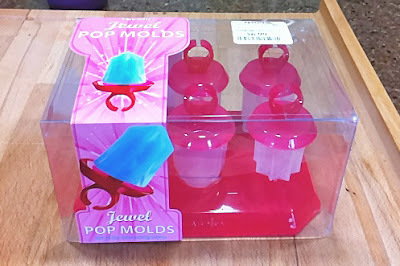 I did find these neat ring pop popsicle molds at TJ Maxx. They are made by Tovolo. I originally saw them here. I just happened to run into them at TJ Maxx while browsing the aisles. 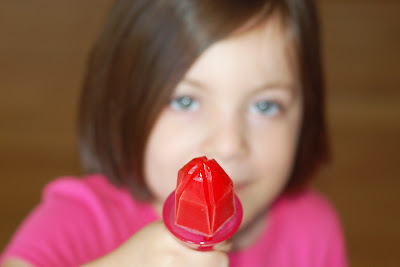 Who doesn't love ring pops? 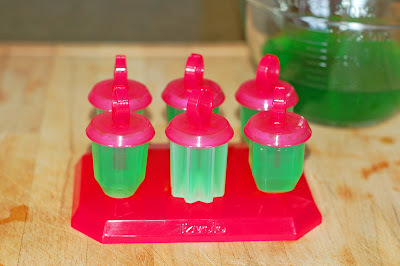 As for the Jello Popsicles. All you need is Jello and water. 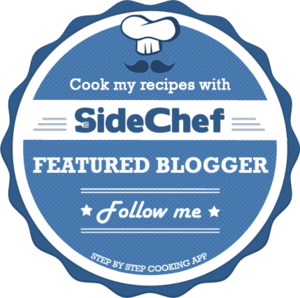 You can use the regular Jello or the sugar-free kind. 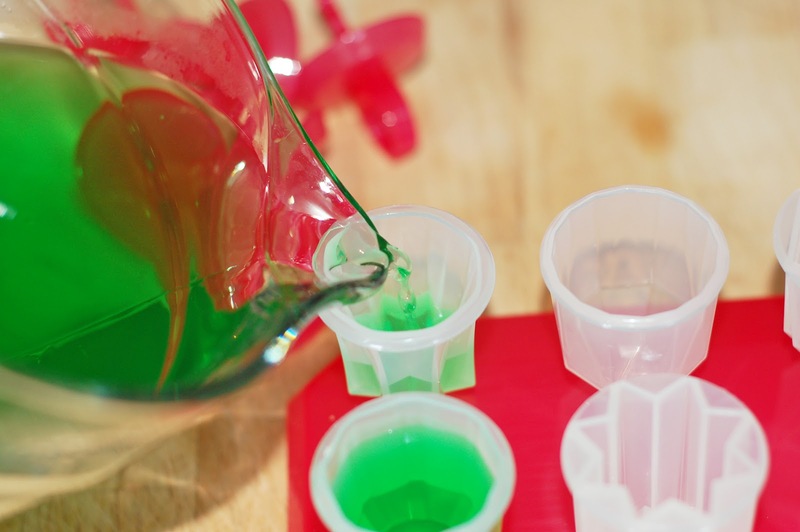 Just mix the Jello powder with the water the same as you would to make Jello gelatin, only this time put in popsicle molds and freeze it. It doesn't get any easier. One box of Jello goes a long way. My assistant and I filled all these molds with two boxes of Jello. If you have leftover mix, just put it in a bowl and put it in the fridge to make regular gelatin. I have learned to mix my Jello in a container that pours. This makes less of a mess to get the mixture into the molds. This on is from The Pampered Chef. You will have to let the Jello freeze for a few hours. I usually leave it overnight. These ring pops are so cute. 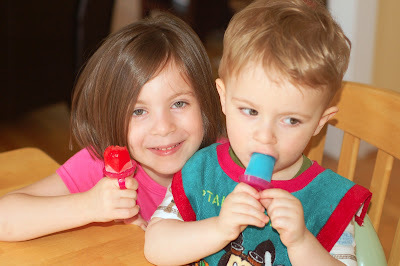 I am going to have to get some more Tovolo popsicle molds. These guys were really excited about their new ring pop popsicles. We made red ones, blue ones and green ones. It's nice to see they bring a smile to my children's faces like they used to for my brothers and I. 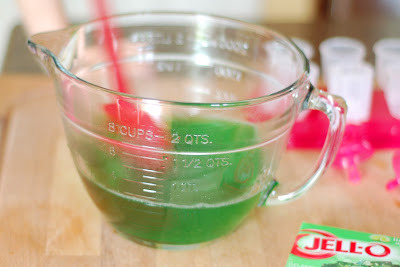 Empty out the packet of Jello powder into a bowl. Add boiling water and stir until all powder is dissolved. Then add cold water and mix until all combined. Next pour the Jello mix into your popsicle molds and freeze for 4-6 hours or until firm.